You may recall that last month we helped raise money and awareness for Share Our Strength’s Great American Bake Sale. Being a part of this great cause was rewarding in so many ways. We got to witness the kindness of people who made donations without anything in return, we saw countless smiling faces during our bake sale, and even better, we made new friends. At the end of April, our team captain, Jackie from La Casa de Sweets, invited us to her dessert party filled with tons of amazing sweet treats. We got to know Jackie a little better, talked and laughed with her other guests, and even participated in a board game over lemon mascarpone cookie dip, poached pears, Nutella mouse, homemade ice cream, cupcakes (of course), and so much more! Her family and friends welcomed us like old friends, even though it was their first time meeting us cupcake crazy girls. All in all, it was a fantastic night! 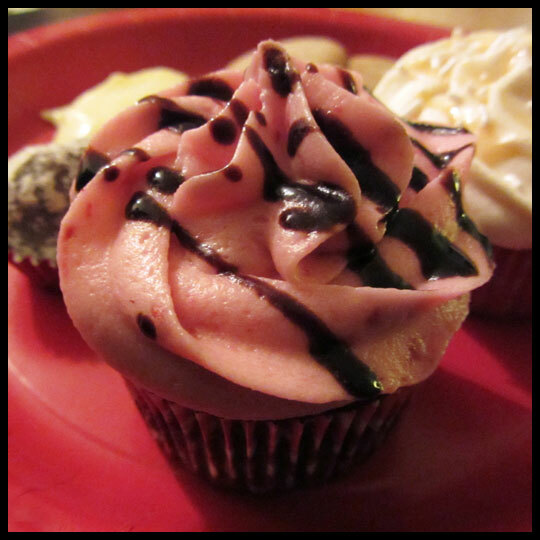 While talking with Jackie she revealed that she was a bit nervous making cupcakes knowing that the Crusaders would be tasting them, but she pressed forward and baked Raspberry Chocolate and Dulce de Leche cupcakes to add to the spread. I couldn’t have been more eager to try these cupcakes after hearing (and seeing) the flavors. Chocolate Raspberry has always been a favorite flavor combination of mine, and Dulce de Leche is a flavor I had been wanted to try, but never had the opportunity. Often fruit flavored frosting can be overly sweet and artificial tasting, but this one was just sweet enough to complement the decadent chocolate cake. Not only is Jackie a master of anything sweet, but she is kind, humble, and hospitable. She is true to the charitable woman she portrays on her blog, Facebook, and Twitter pages. 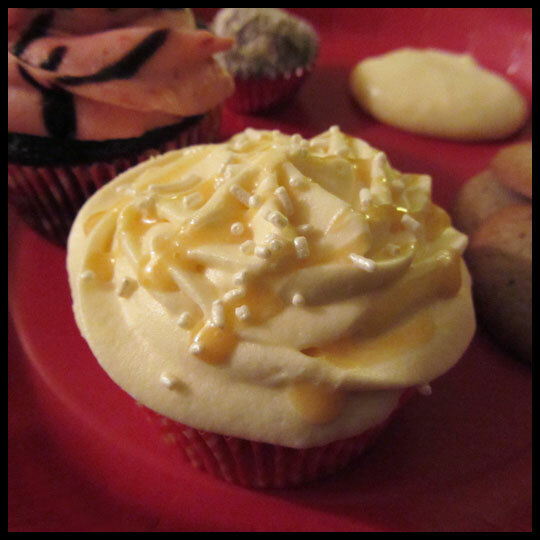 If you would like to order cupcakes or other desserts from Jackie, please visit her website here. All orders will go to raise money and help prevent childhood hunger in America and around the world! This entry was posted in Baltimore, Cupcakes, Maryland and tagged charity, chocolate raspberry, Dulce de Leche, good cause, great american bake sale, La Casa de Sweets, share our strength great american bake sale by Stacy. Bookmark the permalink.